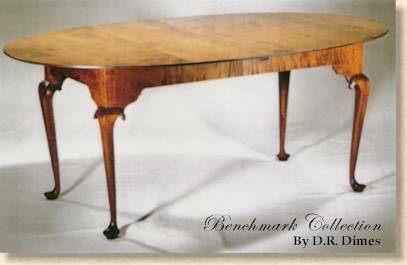 This Queen Anne Dining Table features cabriole legs, mortise and tenon construction and a chamfered top. Available in Solid Cherry or Solid Tiger Maple. Two 14" leaves are included.